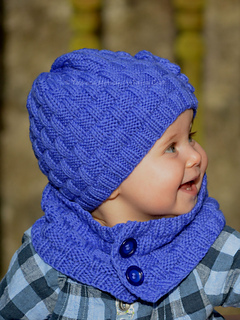 This knitting pattern is for my Grapevine Hat and Scarf Set. This stylish knitted set consists of hat with textured basket pattern decorated with bunch of grapes and leaf and the matching buttoned short scarf. The set is warm, cozy and comfortable. The set is quick and easy to knit. Grapevine beanie is knitted in the round. 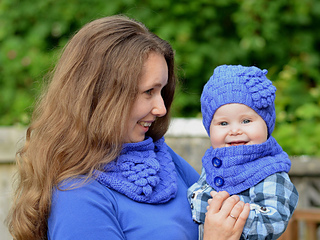 The scarf is knitted back and forth and decorated with two buttons. 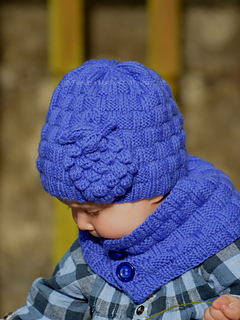 The knitting pattern is easy to follow and suitable for beginners. It is very detailed and contains five pages of written row-by-row instructions, chart and pictures. 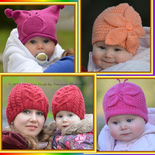 The pattern is written for all sizes from baby to adult. 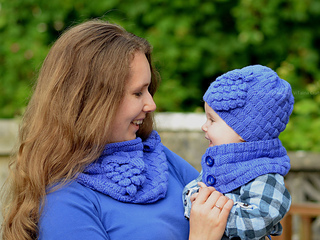 The knitting pattern for cowl is also available in my Ravelry store. You can get in contact with me at any time if you have any questions about it.